For readers and friends who live in places I have yet to visit, I will be happy to send a signed bookplate your way. 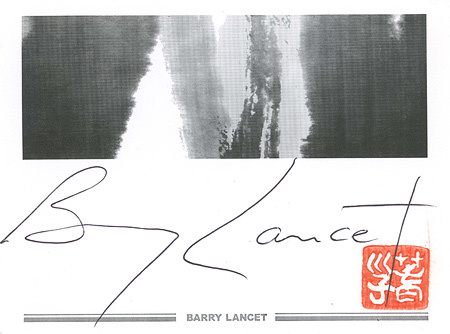 Just drop me an email at barry@barrylancet.com. It works great for gifts too. The signature and stamp will be real and signed on the spot. If you want the bookplate personalized with your name or someone else's, just let me know. The upper half of the bookplate is done in a Zen ink painting style of the type that appears in many classic Japanese scroll paintings. Thank you for your interest in the Jim Brodie series!